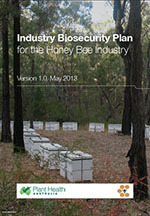 A number of resources and programs have been undertaken to prepare the honey bee industry for a biosecurity emergency. They include preparation of an industry biosecurity plan, identification high priority exotic pests of the industry, biosecurity manuals for beekeepers, surveillance programs, funding for pest emergencies, and other initiatives. 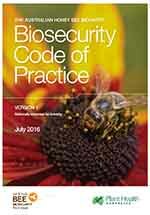 The Australian Honey Bee Industry Biosecurity Code of Practice (the Code) has been developed in consultation with beekeepers and governments to provide a framework for Australian beekeepers to use best-practice biosecurity measures. The Code has been developed to incorporate fundamental biosecurity principles into the practices of all Australian beekeepers. Some sections of the Code are already mandatory under existing state and territory legislations. 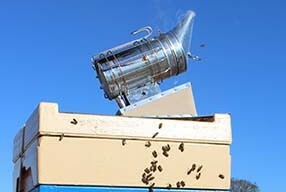 Some parts of the Code apply to all beekeepers; others apply only to beekeepers with 50 or more hives. The Industry Biosecurity Plan for Honey Bee Industry outlines key threats to the industry, risk mitigation plans, identification and categorisation of exotic pests and contingency plans. It provides a mechanism for industry, governments, and stakeholders to better prepare for, and respond to, incursions of exotic plant pests that could have significant impacts on the honey bee industry. The manual is for anyone who keeps honey bees in Australia, from commercial operators, to backyard enthusiasts and people starting up their first hives. Each and every beekeeper has a role to play in protecting honey bees from established and exotic pests. Incorporating these recommended biosecurity processes into day-to-day operations is the best way to protect individual beekeepers, regional biosecurity and the Australian honey bee industry as a whole. 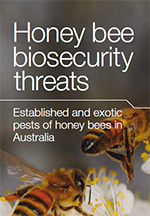 The honey bee biosecurity threats brochure provides pictures and details of both exotic pests that could enter Australia, as well as important established pests in Australia that are present in specific regions. Recognising new pests early will help protect the productivity of the honey bee industry and those industries dependent on pollination. 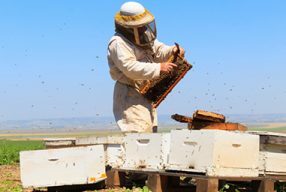 The pamphlet explains what you can do to help safeguard Australia’s food security and honey bee industries through early reporting. 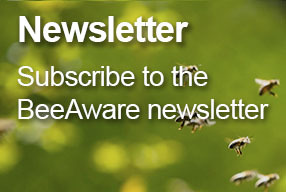 The honey bee biosecurity training module contains information that is present in the biosecurity manual in an online format and questionnaire. Its aim is to maximise the early detection of exotic bee pests (specifically Varroa mites), and minimise the spread of potential pest incursions though improved understanding of the importance of biosecurity, best management practices and basic awareness of key pest threats. 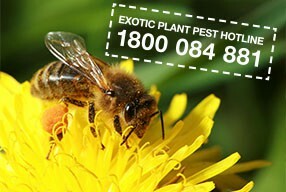 For more information about BOLT, or to complete the honey bee biosecurity module click here. The Emergency Plant Pest Response Deed (EPPRD) is a formal, legally binding agreement between the Australian Government, state and territory governments, plant industry signatories and Plant Health Australia. As a signatory to the EPPRD, the Australian Honey Bee Industry Council (AHBIC) has a seat at the decision making table and also contributes to funding if an approved response plan is implemented to eradicate an emergency plant pest. Under this agreement the Australian honey bee industry has a responsibility to report suspect pests. The earlier a new pest is detected, the greater the chance an eradication response will be mounted and the more likely it will be successful. Under the EPPRD, beekeepers may qualify for owner reimbursement costs (ORCs) for direct costs incurred as a result of the implementation of an approved response plan. Reimbursement may apply to direct beekeeper losses such as the destruction of the honey bee colony, hive parts and/or honey stocks. They may also cover the replacement of hive material and additional chemical treatments. Calculation of reimbursements is prescribed in the EPPRD, including the different formulae used to accommodate the wide range of crops grown by industry signatories. Honey bee payments are calculated using the ‘Bees, hives, honey and associated products’ formula. To ensure that these calculations are accurate, beekeepers should keep records of key information. It is important to remember that payments only apply to approved response plans aimed at eradication, which are more likely to be developed following early reporting. More information about record keeping and owner reimbursements costs.